Samsung is done with the launch of the Galaxy Note 8 that happened today, and now, it’s time for some mid-range devices. Soon, the company is going to announce a new tablet named the Samsung Galaxy Tab A2 S. It seems that Samsung is following the same naming style for its tablets as for its smartphones of the J and C series. The tablet previously appeared on TENAA and some benchmarking sites and today, the full user manual of the Samsung Galaxy Tab A2 S is out via the official Samsung website. 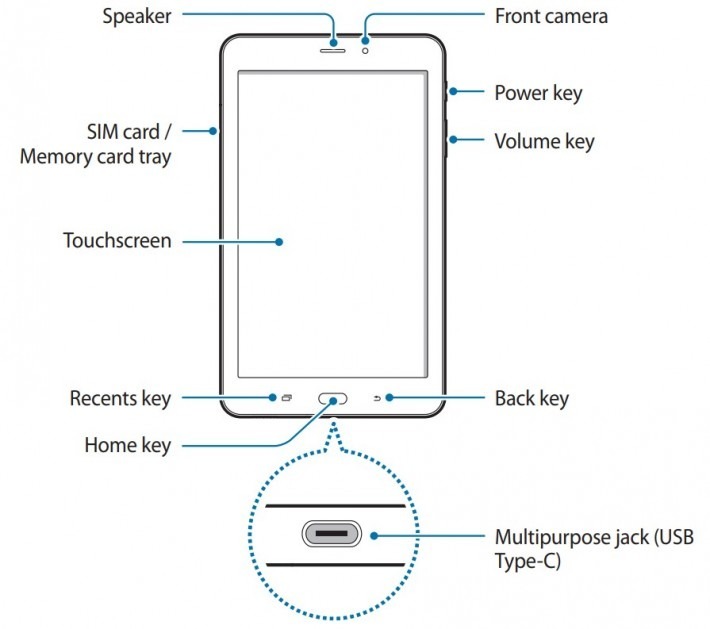 The user manual reveals the tab with model number SM-T385 which supports 4G, nano-SIM, and microSD card support. The user manual again confirms the design that was revealed by TENAA. It has the tradition Samsung-ish design from the front with a physical home button and two capacitive touch buttons on either side. 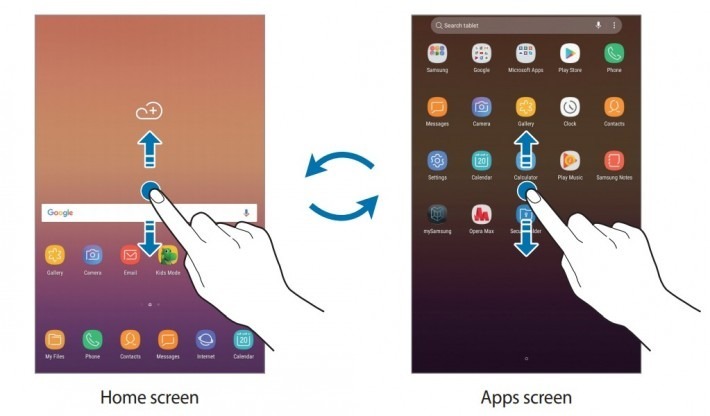 And yes, the placement of the buttons is in the Samsung’s style, i.e., the back button is on the right whereas the recent apps button is on the left. There is a USB Type-C Port on the bottom. The volume rockers and the power button are on the right side, and there is no Bixby button despite the fact that the tab is equipped with Bixby Assistant. On the back, the tablet has a single camera sensor with LED Flash. The headphone jack along with the secondary microphone is on the top while there is a speaker and primary microphone on the bottom. 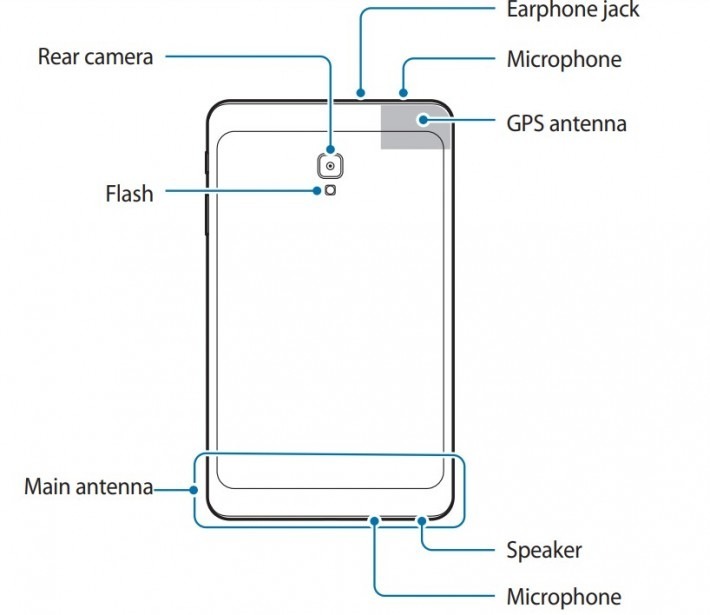 If you notice, there is a speaker embedded inside the earpiece also which means that the Galaxy Tab A2 S has stereo speakers. 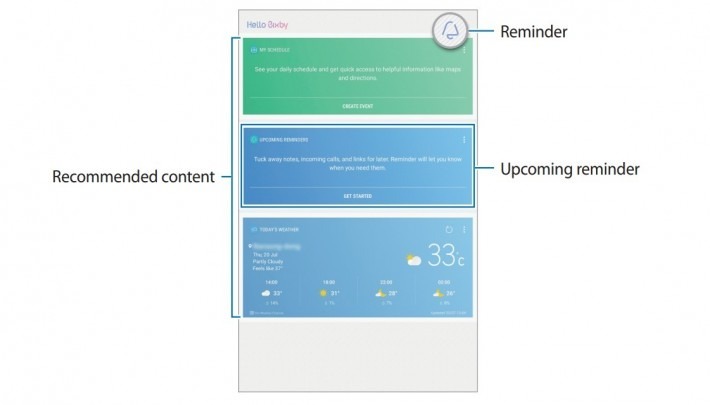 Some screenshots reveal the Bixby Interface, the homescreen & Apps screen, and the notification bar. 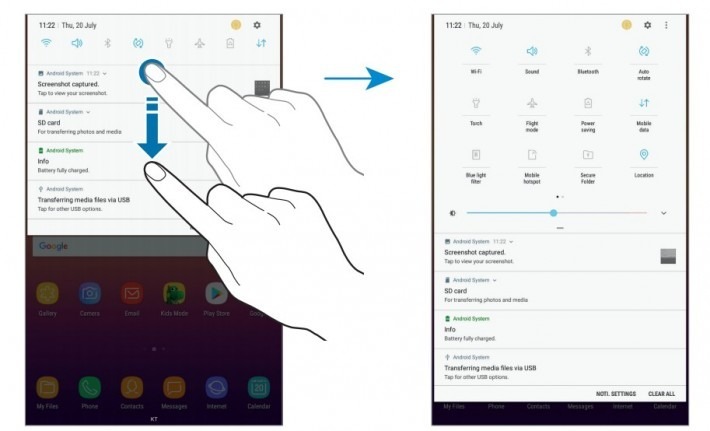 You can check the full user manual of the Galaxy Tab A2 S by clicking on the button below. The launch is most likely going to happen at the IFA 2017 in Berlin. Stay Tuned.